I have two males that I have available for studding throughout the year. I also have planned breeding's, There will be puppies Fall of 2013. I am very reasonable on the stud fee. Husky Facts provides training tips, husky facts and resources for Siberian Husky owners and lovers. Welcome to Ataciaras. 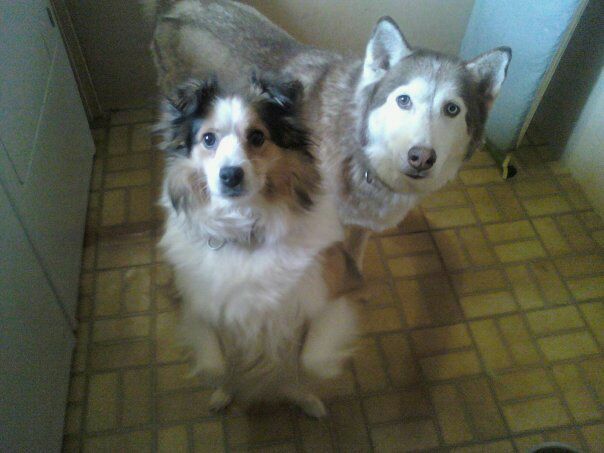 A friendly forum to get advice and share experiences of owning a husky and also other breeds of dogs are welcome. We are all here to make the forum a safe and enjoyable place. Champion bloodline AKC Siberian Husky puppies. All colors with mainly blue eyes. Vet checked, vet vaccinated, wormed and microchipped before leaving. We have the most beautiful Siberian husky puppies looking for a loving family.$700-800. 2 MONTHS FREE PET HEALTH INSURANCE and LIFETIME HEALTH GUARANTEE. Listings of Huskies across Canada looking for new homes. Hobby breeder of US and Int'l show siberians. Puppies, stud service. Health and temperament and fluid movement are our goals. The place for Siberian Husky information. In-depth help and advise about the breed covering showing, racing, puppies, healthcare and even a forum. Quality Siberians for pet, show, therapy or sled. Genetic clearances and lifetime guarantees! Conformation, health and socialization are our top priorities. Come... find YOUR Hero! Siberian Husky Puppy is a site for all that love the breed, great photos, and lots of information. 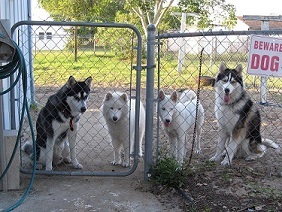 We are a family of four Siberian Huskies. Join our pack as we share our adventures, thoughts and interests! Small show kennel of Champion pedigree Siberian Huskies. Written health and genetic guarantee. No sales to puppymills! Full registration only offered to approved homes. Siberians for Showing, sledding or just for spoiling! OFA, CERF and DNAed. I am a dog traininer and enjoy questions. All home raised and a Joy in my life! 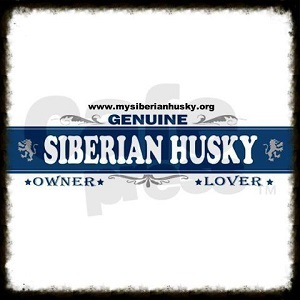 Also a link for Siberian Rescue updated reg. All about our dogs and our kennel.